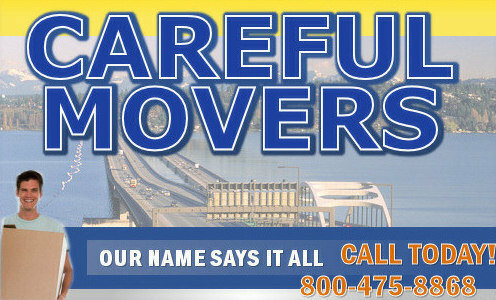 The movers at Careful Movers are ready to take you anywhere in the lower 48 states... even if it's just down the street. We offer affordable rates on long distance moving, sometimes lower than other full service long distance moving companies. We can handle most nationwide moving that is needed and have 48 foot semi-trailers waiting to take your entire house across the nation. Our trucks feature air-ride suspension, for smooth driving even when the road is not so smooth. Our movers will professionally and carefully pack and load / unload your belongings. Get a free moving quote and schedule your move today. Careful Movers provides long distance moving to Seattle, WA: Seattle long distance moving. Careful Movers provides long distance moving to the state of California: California long distance moving. Los Angeles and the state of California are important locations for our long distance moving services. Whether you're moving to or from Los Angeles, click the following link to read about our Los Angeles long distance moving. Boise and the beautiful state of Idaho are local to the Pacifc Northwest where we offer long distance moving services. Moving to or from Idaho, Careful Movers will team up with our interstate partner All Star Transfer to get you moved, and at rates a lot lower than the major moving companies typically charge: Idaho long distance moving. Chicago and the rest of the State of Illinois are places we offer long distance moving services. If you live in Illinois and are moving to Washington State, here's the page to read about our specific services we offer here: Illinois long distance moving. Maryland is a hot spot for long distance moving. If you live in Washington State and are moving to Maryland, or going the opposite direction, call on Careful Movers for Maryland long distance moving. We know that a lot of people are moving out of New Jersey nowadays. Some of you are heading to Washington State or another state out West. Moving is a lot of work -- let us save you time and a lot of back-ache and hassle on New Jersey long distance moving. Oregon is a sought after location for people relocating from Mid-West and East Coast states. But let's face it -- do you want pack your entire house or business on to a truck and then make the drive several hundred miles over two mountain ranges on your own? Leave the moving to us -- click on Oregon long distance moving. Washington D.C. and surrounding areas have families, businesess and even military in need of long distance moving. Go with a reliable mover for Washington D.C. long distance moving.